On the last Saturday of each month from 1pm-4pm, our community bike shop SantroVélo hosts a Women Trans* Femme (WTF) day. 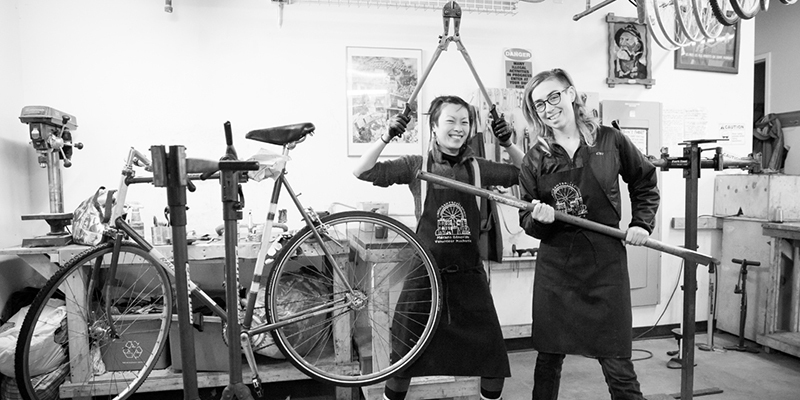 We welcome people who identify as female, transgender, non-binary, femme, genderqueer, trans-masculine, trans-feminine or feel that their socialization or treatment as a woman, transperson*, &/or femme has impeded their participation in bicycle mechanics. If you self-identify as such, you are invited to come work on your bike, lend a hand or just hang out in a safe, gender positive space. After our brief hiatus for the holidays in December, it’s time to get back to our lives and do some routine winter maintenance on our poor beaten up, salt-encrusted winter bikes! Come clean and oil your chain, dare to open up that bottom bracket, and tune up those brakes and derailleurs! If you have any questions, please contact Annamaria by email. 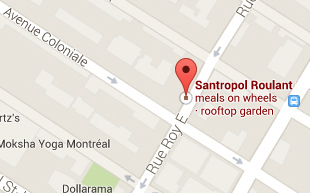 We hope to see you on Saturday, January 26 from 1pm-4pm for the next instalment of WTF Day at SantroVélo! For up-to-date info regarding activities and opening hours, check out the SantroVélo Facebook page. * What’s with the asterisk?